A Lakeview man serving a suspended sentence is accused of stealing from a local farm. 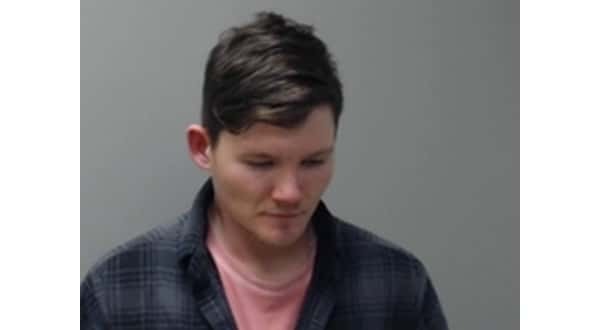 Twenty-seven-year-old Jacob Caple was booked into the Baxter County Detention Center Friday evening on a felony count of breaking or entering and a misdemeanor count of theft of property. He was released Monday afternoon after posting $5,000 bond. According to a probable cause affidavit, the victim reported to a Baxter County Sheriff's criminal investigator Dec. 16th his farm truck was broken into, and several items, including a firearm, were stolen. During the course of the investigation, it was later discovered a welder was missing from the victim's barn. During periodic online checks, the investigator found on a pawn shop reporting system a welder matching the description being pawned for $100 in Springfield on Nov. 30th. Caple was developed as a suspect a few days earlier for the break-in of the victim's vehicle, which will be covered in another case. The victim was reportedly able to describe the welder by the red paint used to mark his father's welder. Caple told law enforcement he has had the welder for over a year or at least nine months. He asked authorities to verify it with his mother and stepfather, but they reportedly stated they've never seen a welder and never moved it for him. Caple also stated he was with his cousin when he purchased the welder from someone working on a construction job with them, but the cousin said he didn't know about Caple purchasing a welder. A person Caple claimed to buy the welder from told investigators he never sold Caple a welder or anything else. Caple was sentenced to 10 years in prison in February 2015 with three to serve and seven suspended on two cases. The more serious charges stemmed from a home invasion in the early morning hours of March 21st, 2013. Caple and his co-defendent, Christian Sisk, broke into a residence on Old Military Road. They entered the bedroom where the victim, then 18-year-old Luke Douglas, was sleeping. Caple and Sisk allegedly pulled him out of bed, and Sisk held Douglas down as Caple assaulted him. Caple is expected to appear in Baxter County Circuit Court.